Peel and core the pears. Chop the pears into roughly 1” cubes. Place in a pot along with the water, sugar, and sprigs of thyme. Bring to a boil, reduce to a simmer, and cook until pears are tender, 10 minutes or so. Let the pear mixture cool slightly and transfer to an airtight container. Place in the refrigerator to cool, preferably overnight. 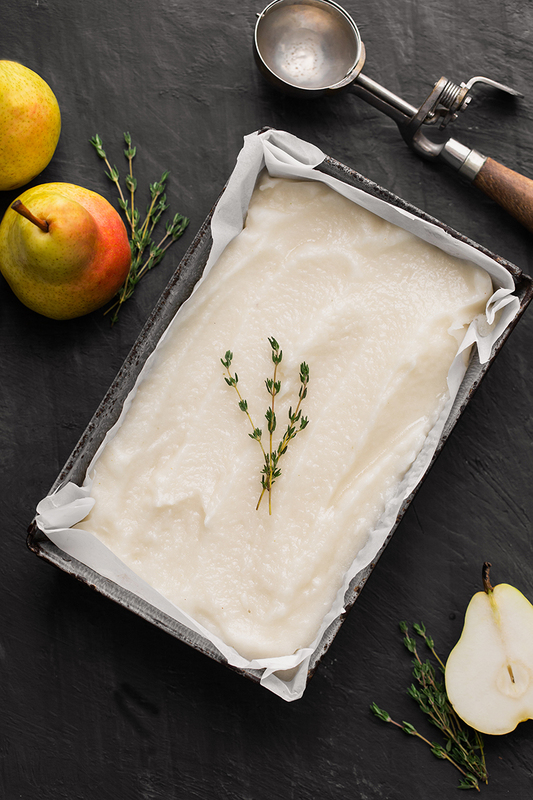 When ready, remove the thyme sprigs and puree the pear mixture until smooth. Freeze the sorbet according to the instructions in your ice cream maker manual. 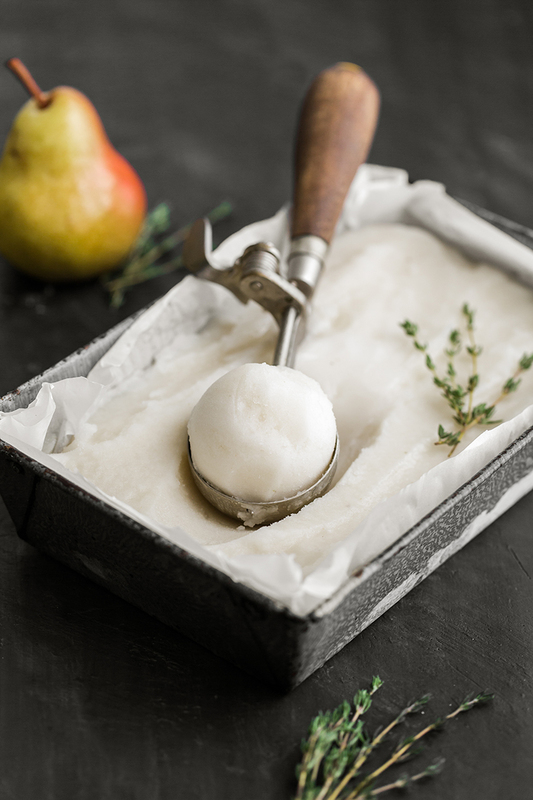 Alternatively, freeze the sorbet mixture in a shallow dish. Break apart the pieces and puree in a blender, as if making a smoothie. 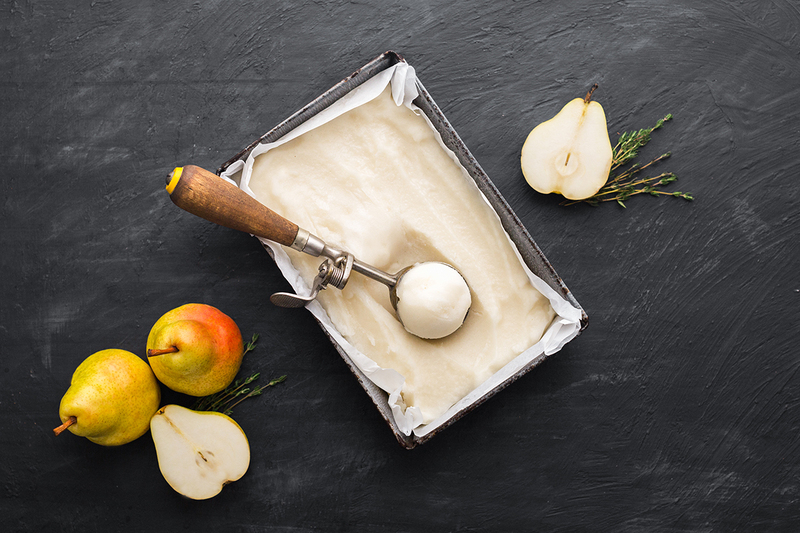 The pears are often sweet enough, however, if you like a sweeter sorbet, taste while cooking and adding ¼ cup or more sugar, as needed.